As the academic year tumbles to a close, I would like to use my final blog post to discuss five tools that have made the past semester a little less precarious. Certainly, there are more advanced tools available, and I hope you will share them via the Comments thread. However, for this post, I simply want to focus on tools that I regularly use and rely upon to save time and frustration (if only a little). A no-nonsense shortcut utility for the Mac, TextExpander ($25 edu) has taught me the virtues of automation. 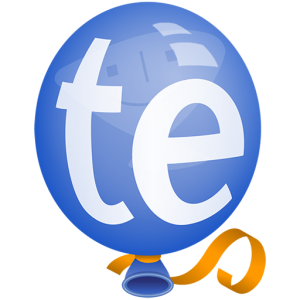 Designed around shortcuts (Abbreviations) and the texts they expand (Snippets), TextExpander allows you to supplement your desktop’s keyboard shortcuts and to build forms using a bevvy of customizable templates. These templates can be as simple as custom email signatures (available system-wide), tools for validating and truncating URLs (Internet Productivity Snippets), or, my favorite, Fill-ins, with which you can create forms around predefined selections (Popups) and open fields (Fill-ins). Fill-ins have already saved me hours in writing midterm and final grade reports. (Thanks to TextExpander’s Statistics feature, which tracks and visualizes usage, I can report that the utility has saved me more than a dozen hours this semester). Once I started thinking about my reports in terms of what could and could not be automated, I realized that much of what I write in my headers and footers can be accomplished using three or four different forms. By creating several such forms, I allow myself more time for rigorous reflections on student work. My biggest time saving tool, however, has nothing to do with my teaching. When it comes to tracking, managing, and sharing citations, I cannot sing more loudly my praises of Zotero (free). Zotero lives where most of us begin our research: the web browser. While it was originally designed for Mozilla FireFox (where it still works best), you can also download the standalone application, connectors for Google Chrome and Apple Safari, and word processor plugins (for Microsoft Office and LibreOffice/OpenOffice). With JSTOR and WorldCat, Zotero boasts particularly thorough integration; of search results you can tick off articles whose bibliographic information and content (such as full-text PDFs) you want to save. You can access citations via the Zotero button in your browser, where you can create folder hierarchies, export citations in just about any style, or view downloaded PDFs. If you register for Zotero’s free synchronization service (Zotero Sync), you can even access your citations on other computers. By default, you’ll get one hundred megabytes of storage, more than enough for citations alone, but somewhat miserly for PDFs. (After archiving twenty journal articles with PDFs, I exhausted more than a third of the allotted storage). If, however, you intend to conduct your research from one desktop, however, your machine’s hard drive is your only limitation. For stubbornly material resources, the latest version of Delicious Library ($25) tidies up everything on your bookshelf, including books, movies, albums, software, and gadgets. Adding items is easy. If it has a barcode, you can scan it using your desktop’s iSight camera or a barcode reader. I added the vast majority of my books using my MacBook’s webcam, but for editions that predate barcodes, I found that I could add them using keywords, authors, and titles. In addition to acting as my iTunes for everything outside iTunes, Delicious includes a particularly dulcet feature: Loans. You can check out books (or anything else) to anyone in your Contacts, and thanks to the software’s interoperation with Apple Calendar, you set and track due dates. Given that I’m constantly swapping books with friends, this feature applies as much to me as it does my peers. (You don’t keep friends by absconding with their books). I’ve saved my final tool until the end because it is a summer project unto itself. If Apple’s Pages is Microsoft Word with a fresh coat of paint, Literature & Latte’s Scrivener ($45 with a 15% edu) is a gut renovation. Based on the premise that long texts (e.g., chapters, dissertations, monographs) are comprised of short texts, Scrivener allows writers to collect research, write in smaller, modular texts, and to compile fragments into cohesive manuscripts that can be outputted in just about any imaginable format (form Word docs to ePubs). Whether you’re working on a novel or a recipe collection, Scrivener offers a template; alternatively, you can start Blank, just as you would a Word doc. The interface has three main components: the document at the center (Editor); metadata to the right (Inspector); and text hierarchy to the left (Binder). In the Binder, you can store drafts or just about any kind of research (PDFs, images, documents). Everything in Scrivener can be manipulated using drag and drop operations and a host of different views and layouts. What I like about Scrivener is that is meets me where I am. Although my diss chapter will become a single, continuous text (fingers crossed), it doesn’t start that way. Instead, Scrivener allows me to work in small chunks of text (paragraphs, sometimes more), and to synthetize them into a Word doc suitable for my readers. Here are some notes on my talk at the last FGSDH meeting on teaching with digital tools. Please share your experiences with these tools in the comments. The students in my “Tales of Gotham: NYC in Fiction” are reading some great books this semester, among them Mark Helprin’s A Winter’s Tale and Toni Morrison’s Jazz. They’re also developing expertise with digital tools they’ll likely need to know how to use in the real world and that they can use in other classes, too. These include WordPress, Zotero, Prezi, archives and databases, basic text analysis tools, mapping, and the rich resources for writing and collaboration on GoogleDrive. Who’s teaching them how to use these tools? Not me. They’re teaching each other while they also think and talk critically about the texts we’re reading. All I did was divide them up into small groups of three and four, and assigned to each group one of the following roles described on the Infographic below. For the groups assigned a particular tool, such as Prezi or WordPress, they taught the class how to use it. The Discussion group not only taught the class how create a Prezi, they collaborated on one to support a discussion on the semester’s first reading, poetry by Walt Whitman. In addition to demonstrating how to use WordPress, the Blogging group had to explain good academic blogging practices. They then modeled those practices with posts about Whitman’s poetry. Other groups, such as the Activity and Wild Card groups, were given free range to explore digital and nondigital ways to engage the class with course material. So far, this approach has been successful: my students are animated in class and we’re having fun as we learn together. No boring lectures about literature from Prof. Cornell. Right now, two of my classes are using GoogleDrive’s presentation software for collaboration on an annotation project for A Winter’s Tale. In their written reflections to me on the first round of group work (groups rotate roles), many students admitted to initially having strong reservations about working together, only to discover how much they enjoyed it. This was due in part to their online collaborations. That is, not everyone had to be in the same room at the same time for work to get done. For example, they’ve discovered the ease of communicating and sharing editable documents and presentations with each other (and me) using GoogleDrive. Moreover, they are pleased to be learning together ways to use digital tools that they may well need expertise in when they look for jobs. Finally, they like teaching each other and taking the lead in discussions and activities. Here’s the Infographic describing each role that groups will undertake during the semester. Students have access to the graphic in the private space of the course website.